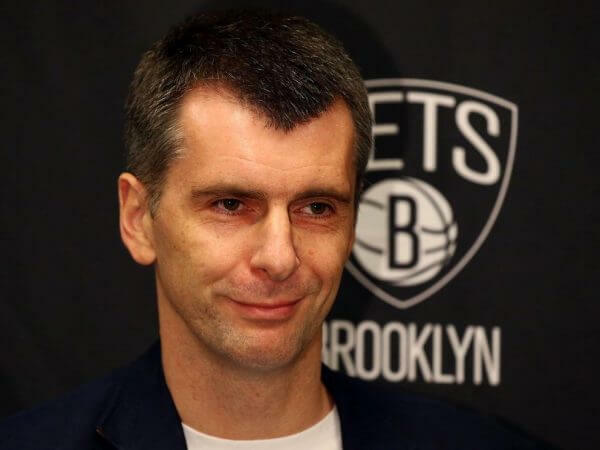 After numerous delays to the project, Russian businessman Mikhail Prokhorov agreed to a $200 million deal on September 23, 2009 to become a principal owner of the Nets and a key investor in the team’s proposed home in Brooklyn, bringing in much needed funding and finally allowing for the new arena to be built. After the dismissal of major pending lawsuits, groundbreaking for Barclays Center occurred on March 11, 2010. 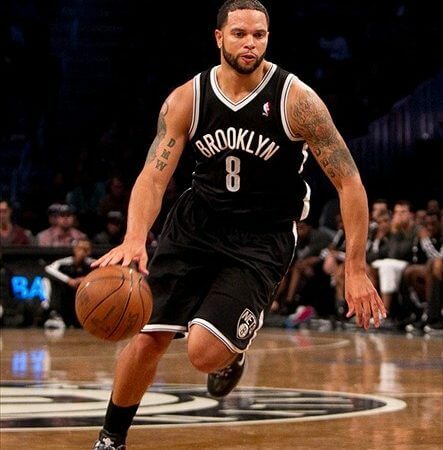 On February 23, 2011, the Nets made a surprising trade for All-Star point guard Deron Williams. The trade sent Devin Harris and rookie Derrick Favors to the Utah Jazz along with draft picks from the Golden State Warriors and cash considerations. The team went on to lose the first three games with Williams in the lineup, and then win five straight. However, Williams was hampered by a wrist injury that forced him to sit for most of the last games of the season; they won two more games, and finished with a 24–58 record. The new arena, later named Barclays Center, would be the center of an extensive redevelopment project called the Atlantic Yards being constructed by Ratner’s real estate development company. The new arena is located across the street from the site that Walter O’Malley wanted to use for a new stadium for the Brooklyn Dodgers in the early 1950s. That plan was rejected and resulted in the team’s relocation to Los Angeles in 1958. The Nets would not only return to New York for the first time since 1977 but also became the first major professional sports team to play home games in Brooklyn since the departure of the Dodgers. 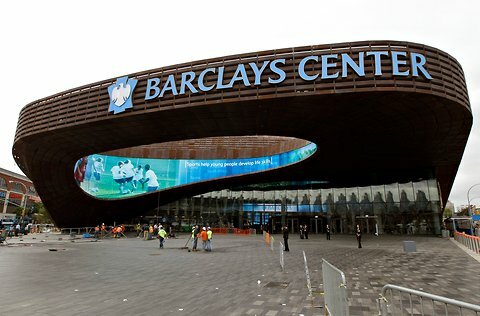 After the dismissal of major pending lawsuits, groundbreaking for Barclays Center occurred on March 11, 2010. On September 26, 2011, Jay-Z, the Nets’ minority owner, announced that the team’s new name after the move to Brooklyn would be the Brooklyn Nets. 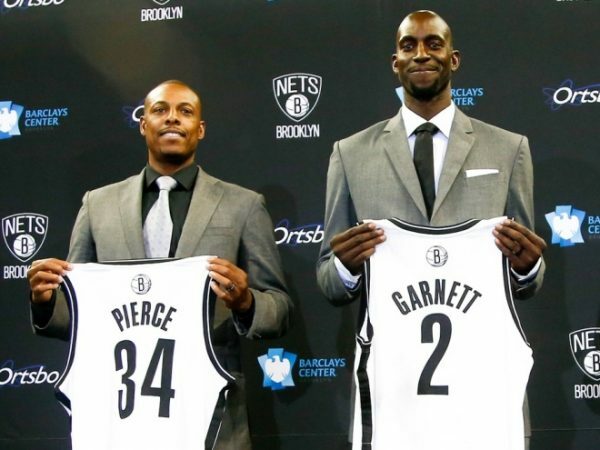 The team officially became the Brooklyn Nets on April 30, 2012. The team’s new colors were announced to be black and white, and two official logos designed by Timothy Morris were unveiled. The primary logo is a shield depicting the team name ‘Nets’, along with a basketball with an overlaid “B”. The secondary logo is the same “B-ball” surrounded by a black circle with the text “Brooklyn” and “New York”. The new logo’s typeface and colors are meant to evoke New York City Subway rollsigns from the 1950s when Brooklyn last had a major league sports team. This rebranding of the team led to a dramatic increase in merchandise sales for the team. On the first two days that the new merchandise was available, total sales from the NBA Store were 10 times that of a typical year when the team was in New Jersey, and in the initial months of the 2012–13 NBA season, the Nets led all NBA teams in apparel sales. The Brooklyn Nets are an American professional basketball team based in the New York City borough of Brooklyn. The Nets compete in the National Basketball Association (NBA) as a member club of the Atlantic Division of the Eastern Conference. The team plays its home games at Barclays Center. They are one of two NBA teams located in New York City; the other are the New York Knicks. The team was established in 1967 as a charter franchise of the NBA's rival league, the American Basketball Association (ABA). They played in New Jersey as the New Jersey Americans during their first season, before moving to Long Island in 1968 and changing their name to the New York Nets. During this time, the Nets won two ABA championships (in 1974 and 1976). In 1976, the ABA merged with the NBA, and the Nets were absorbed into the NBA along with three other ABA teams (the San Antonio Spurs, Indiana Pacers and Denver Nuggets, all of whom remain in the league today). Nets - The name "Nets" was used because it rhymes with the names of two other professional sports teams that played in the New York metropolitan area at the time: Major League Baseball's New York Mets and the American Football League's New York Jets, and because it relates to basketball in general, as it is part of the basket. Who is the greatest Brooklyn Nets?